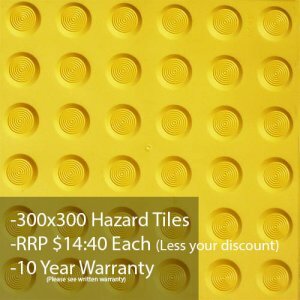 PVC TacAlert Tactile Range - RRP $14.40 Each* Call for your wholesale discount! 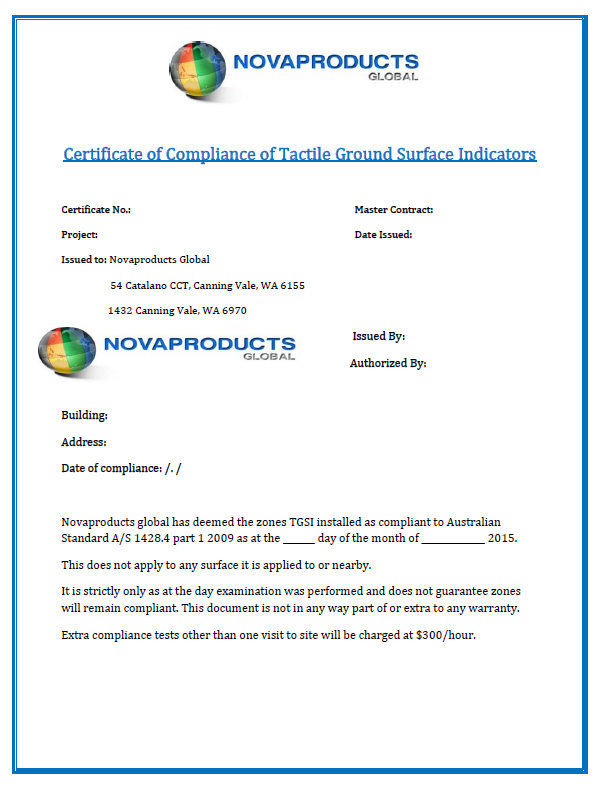 Tactile Ground Surface Indicators (TGSI’s) are an imperative safety measure, set out in the Australian Standard AS/NZ1428.4. Tactiles are used to advise vision-impaired persons that there are stairs, ramps, kerbs or slopes ahead which may be a potential tripping hazard. Novaproducts PVC TacAlert™ TGSI’s conform to Australian standard requirements and in addition, offer a large range of Advantages and Benefits. *While stocks last. May be MOQ required. Novaproducts Global PVC TacAlert™ TGSI Tactiles are commonly supplied as Fastiles™, with a self-adhesive ‘peel and-stick’ backing. Suitable glues are also available from Novaproducts, including Megapoxy 2-part adhesive for maximum bond in external or heavy traffic areas. To ensure that TacAlert™ TGSI’s are installed to comply with AS/NZ 1428.4, interlocking templates are available from Novaproducts Global. Detailed installation instructions are also available on request. Templates for curves or other complex designs can be custom made – please inquire. Extreme test done under very harsh conditions in WA. 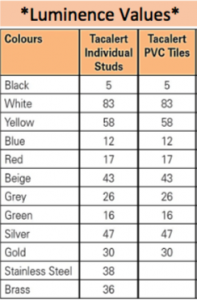 The result is that our PVC tactiles have superior quality and durability.